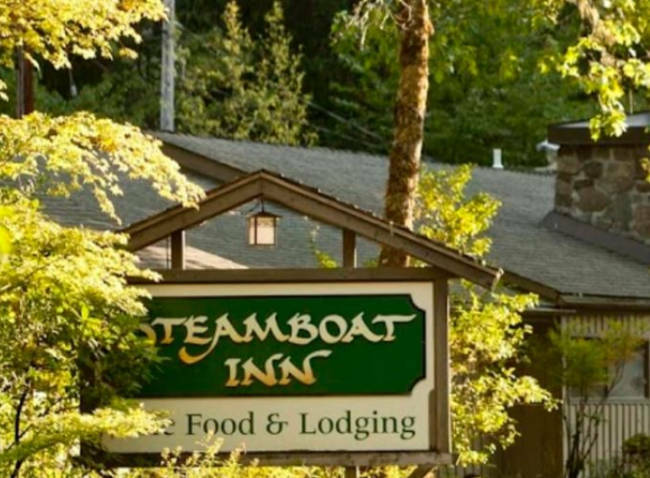 Steamboat Inn offers accommodations on both sides of the North Umpqua River, cozy cabins and hideaway cottages. Steamboat Inn is a great home base to explore all that Oregon has to offer. Steamboat Inn is located an hour and a half north of Crater Lake National Park. 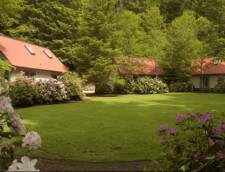 The secluded retreat is located on a bluff overlooking the North Umpqua River. Not only does Steamboat Inn offer comfortable well-appointed accommodations they also feature exceptional fine dining, local wines, gardens, a tackle shop, and a gift shop. After a day of exploring and maybe perhaps some fly fishing enjoy a glass of wine on the front porch of your cabin and watch the river flow by. 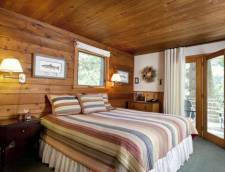 There are a total of eight River View Cabins located next to the North Umpqua River. Each cabin features either one king bed or two twin beds, a gas stove for those chilly nights, and a deck to enjoy the sights of the river. The Falls Suite offers the best views, a king bed, sitting area, and a kitchenette. The suite also offers a soaking tub, a private deck, and complimentary wine. 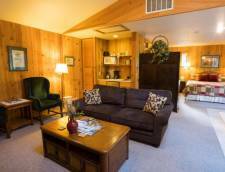 The Maple Ridge Suite offers views of the North Umpqua River from a private deck. The suite features a king bed, sitting area, and a kitchenette. The suite is completed by a soaking tub and complimentary wine. 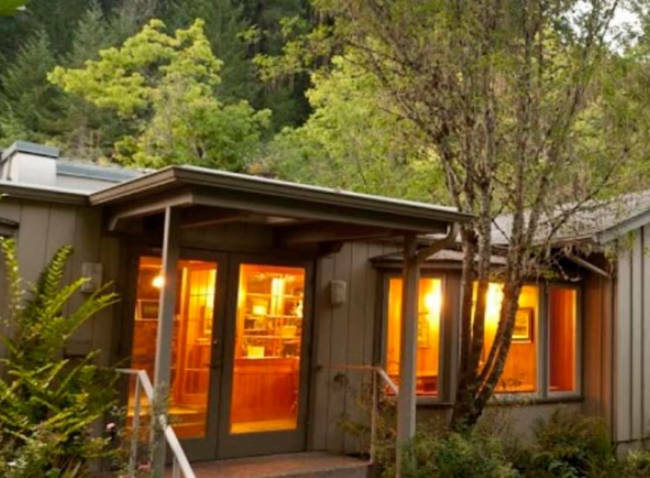 There are five Hideaway Cottages and are located about one and a half mile from the Inn. 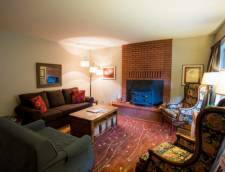 These cottages offer a sitting area with fireplace, a bedroom with one king bed, a soaking tub in the private bathroom, a mini kitchen and a sleeping loft with a king bed or two twin beds. These cottages are also pet-friendly. Campwater Houses are three bedrooms and one and a half bath in each home, they feature a king or twin beds and can accommodate up to six people. The homes also offer a full kitchen, living room, washer and dryer, and a dining area. The homes come complete with a yard and gas grill plus seating for guests. These homes are pet-friendly. Full payment for lodging is due when placing the reservation. With a 30-day notice, prepayment will be refunded less a 10% handling fee. With less than a 30-day notice, payments will be refunded less a 10% handling fee if the room can be rebooked. Rates Policy: Rates are based on double occupancy. Each additional guest age 5 or over is an additional $20.00 per night.